MSI DAY- Tech Evolution event to experience latest unique gaming and workstation systems. These systems are designed to pack a punch, delivering full gaming and workstation class GPU power in a very small footprint. The VR One Backpack is the first PC class device to offer full VR capable performance that is fully self-contained and portable, having no trailing wires. Workstation WT/WS series laptops are designed for 2D/3D visual work, capable of reducing rendering time considerably over regular laptops. The Vortex PC is the smallest gaming tower with full desktop power, delivering full gaming CPU and GPU, in one tenth the size of any equally powerful machine in the category. Vortex PC is perfect for multi-tasking and can connect up to 6 monitors. Gamers were thrilled to see VR One Backpack and Vortex PC – smallest gaming tower with six matrix display. The event took place at Oxford Bookstore in Mumbai & Delhi. With such positive response, MSI plans to do similar events more often. 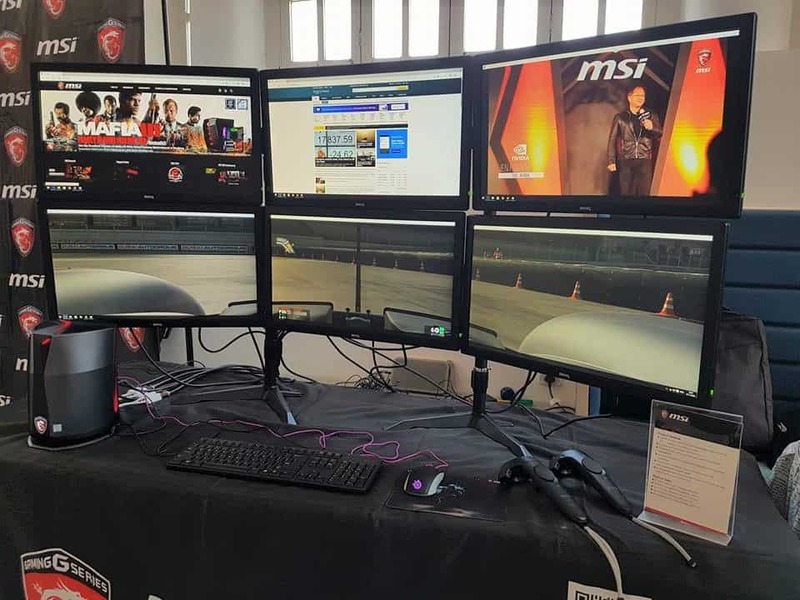 Cross the Bridge into Professional editing and VR Space with MSI! MSI GT83VR 7RE Titan SLI is the first VR-optimized laptop with IPS level screens powered by nVidia 10 series GPU. With powerful yet efficient Kabylake CPU and dual GTX 1070 GPU, the GT83VR 7RE Titan delivers unprecedented performance, power efficiency, and next-generation gaming experiences. MSI WT72 6QL (Skylake E3cpu) and 6QK(Skylake i7) Mobile Workstations are VR-optimized for professional design applications. With powerful Quadro GPUs optimized by ISVs, the WT72 supports VR technology that reduces the time needed for building physical prototypes and streamlines the development/communication process providing optimal performance and high-quality user experience. MSI WT72 6QL (Skylake E3cpu) and 6QK (Skylake i7) Mobile Workstations are MSI mobile workstations powered by the latest 6th generation Intel Core i7 CPU and the new Xeon E3-1505M processor.NVIDIA Quadro M-series provides an unmatched graphics power and performance for critical applications. Fifteen-inch FHD ISP screens and high efficiency mean users have the power they need where they need it. MSIs breathtaking Backpack PC is powered by high-end Intel Core i7 processor and NVIDIA extreme level GTX1060 graphics card. Users get to move around and enjoy VR with full movement and total immersion due to the cordless design. No more worries about accidently unplugging the wires between the VR display and the PC. MSI Backpack PC renders greater mobility and freedom for VR gaming. Potent yet small, the VR-ready MSI Vortex is only about 6.5L and comes packed with a Kabylake i7-7700K Intel processor, NVIDIA GeForce GTX 1080 graphics with 8GB of GDDR5x for incredibly smooth VR experiences, 256GB NVMe SSD plus a 1TB HDD, and a Storm Cooling design for superior performance under the most intense gaming sessions.